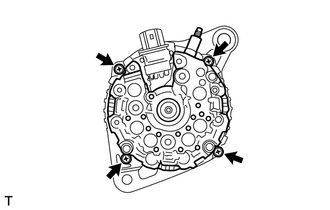 (a) Remove the 3 nuts and generator rear end cover. 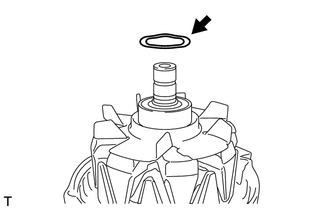 (a) Remove the terminal insulator from the generator coil. 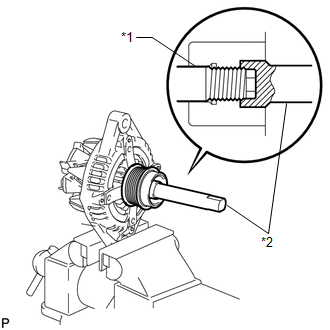 (a) Remove the 2 screws and brush holder from the generator coil. 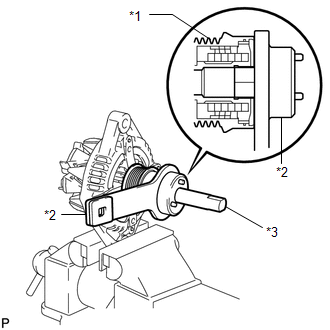 (b) Using SST, remove the generator coil assembly. (c) Remove the generator washer. 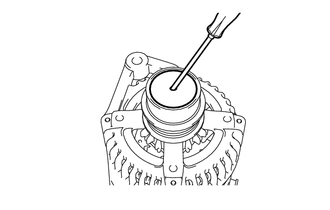 (a) Using a screwdriver, remove the generator pulley cap. 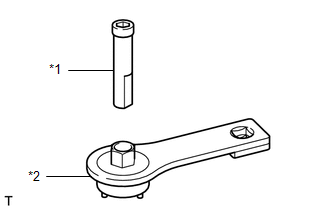 Do not reuse the generator pulley cap. (b) Mount the generator drive end frame in a vise tightly. (c) Confirm SST (A) and (B) shown in the illustration. 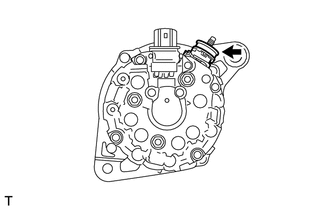 (d) Place the rotor shaft end into SST (A). 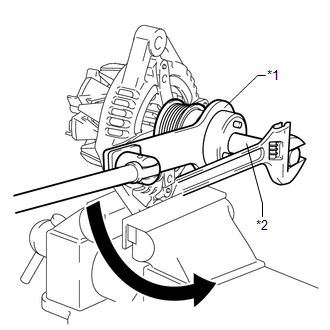 (e) Fit SST (B) to the clutch pulley. 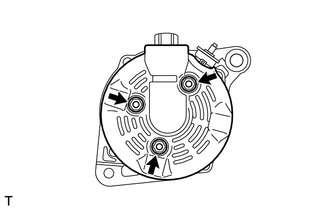 (f) Loosen the pulley by turning SST (B) in the direction shown in the illustration. 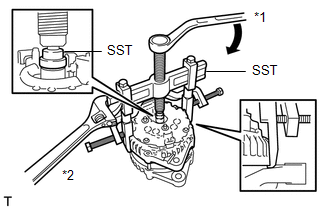 (g) Remove SST from the generator assembly. 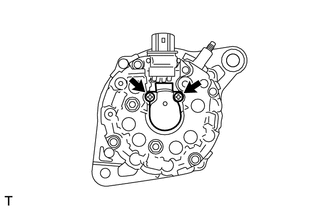 (h) Remove the clutch pulley from the rotor shaft. 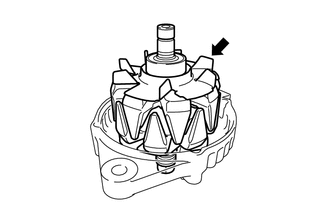 (a) Remove the generator rotor assembly.